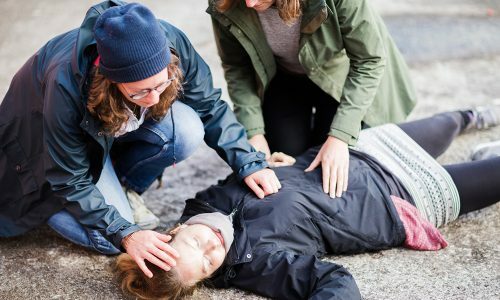 If effective bystander care can be delivered to victims experiencing a medical emergency within three minutes, survival and permanent harm can be dramatically and positively impacted. It is only a matter of time before you encounter a medical emergency, either on campus or in your private life. When a health crisis happens — whether you are a teacher or faculty member, staff member, student, law enforcement officer, medical professional, administrator or just a concerned citizen — you are the first responder. On average, it will take ten minutes for professional first responders to arrive. What would you do if you encountered one of these emergencies? Are you ready to respond appropriately? Are others in your organization prepared? Major disaster and accident studies reveal that, when situations like these happen, we behave better — and worse — than we hope. In an emergency, humans sometimes fight, some take flight, but most often … we freeze. The purpose of this article is to introduce a global bystander care training program that focuses on responding to medical emergencies in the vital first few minutes before professional first responders arrive on scene. The training initiative is the Medical Tactical Certificate Program, called Med Tac for short. Many elements of the program may be found in other standalone individual initiatives. However, as a fully integrated program tackling the most common causes of preventable death together, it may be the first its kind. 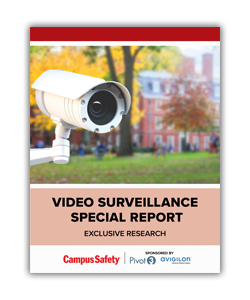 While we were developing an active shooter program in the Texas Medical Center, we consulted Michael Dorn, an internationally recognized authority on campus safety. He expressed his frustration with the focus on active shooter attacks and the lack of awareness of the many more deaths at schools and campuses from other causes, such as cardiac arrest, fatal allergic reactions, overdoses, choking and more. Our research of the literature and consultation of leading experts confirmed the staggering number of deaths and harm that can be prevented or mitigated by non-medical bystanders in the precious minutes before professional first responders arrive. Our integrated founding programs tackling these causes together began in schools, scout groups and the MD Anderson Cancer Center. The work has expanded to four states. We have an active R&D program, are producing a documentary and developing specialty programs for lifeguards, divers, aviation and corporations. We are looking for great partners and invite school district, university and healthcare leaders to join us. It all started with Cub Scouts and elementary and middle school students when we tested whether children could learn CPR/AED and Stop-the-Bleed techniques. 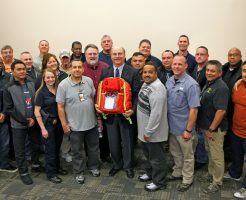 Then when David Beshk — an award-winning teacher and one of our instructors — saved a life during an emergency using a skill he learned and taught just three days earlier, we knew we had something. In Beshk’s case, an unconscious victim was found lying on his back while vomiting, which significantly increased the risk for choking and aspiration. A crowd of bystanders, including several medical professionals, stood by, not knowing what to do. 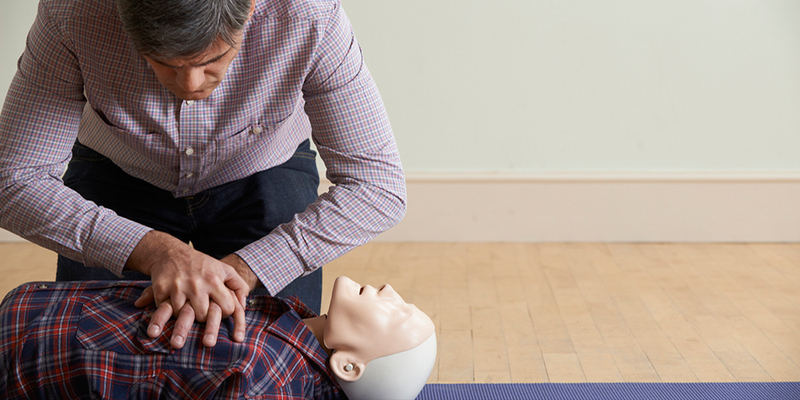 Relying on his training, Beshk used an intervention that reduces the risk for choking and aspiration called the “recovery position” — a method of saving an unconscious victim who is vomiting by keeping their airway clear. As our momentum grew, we learned more about the first few minutes of emergencies and how solidly recent medical evidence supports, in fact, calls for, bystander care. We expanded the program to older students, Boy Scouts and families wanting to improve their disaster preparedness skills. We were surprised by how fast they learned and became competent with such skills. We now deliver training to college students at some of our leading universities and faith-based organizations. We have developed a comprehensive program for law enforcement and security professionals at one of our global medical centers. Our leadership team includes national medical leaders and educators, simulation experts and law enforcement threat experts who have tackled the most frequent, severe and preventable causes of harm to children and adults with one integrated approach. The initiative for children and youth is starting its second year with after-school and summer-school programs. Our Boy Scout program enables scouts to fulfill the requirements for important merit badges such as the First Aid, emergency preparedness and lifesaving badges. We launched our program for young adults at Stanford University with students from medical schools and undergraduate programs, including student-athletes from multiple sports. 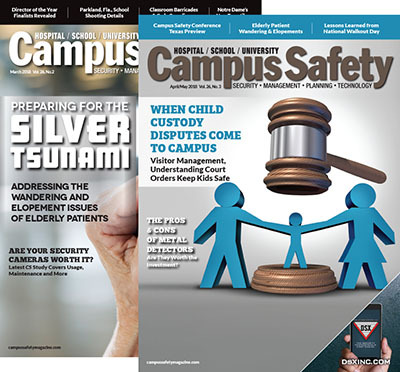 The program delivers content uniquely suited to college students with emphasis on the most common accidents occurring in their age group in campus communities and in membership organizations such as sororities and fraternities. Specific content areas include alcohol and substance abuse issues, as well as the most common causes of severe trauma in their age group. A recurring student-led program has been launched at the University of Florida. The weekend family program trains families in disaster preparedness as well as Med Tac Lifeline Behaviors where they earn CPR/AED and Stop-the-Bleed certificates for successfully completing the curricula in these lifeline behaviors. This program allows Boy Scouts to fulfill all their requirements for their emergency preparedness merit badge, which includes a family emergency preparedness plan and gear pack. A program for law enforcement officers and first responders was launched with the University of Texas Police Department at the MD Anderson Cancer Center. It is the most tactical of our programs with comprehensive attention to active shooter events. KidLeaders is a mentorship program including but not limited to scouts will help grade school students understand the core values and behaviors of great leaders. Med Tac students learn how to recognize and reduce harm from the most common preventable health hazards to children and adults (see 8 Most Common Preventable Health Hazards). There are four major elements to our enterprise model that allow us to take Med Tac to a global scale. We leverage technology and leaders in communities to provide the program to grade schools, scouting groups and faith-based organizations at zero cost to them. Bystander Care: Our global bystander care training program development focuses on the vital first few lifesaving minutes before professional first responders arrive. The curriculum is continually updated to mirror the latest evidence-based medicine guidelines and developments accepted by national emergency medicine and critical care organizations. Blended Learning: We use a blended learning approach of online knowledge transfer, complemented by onsite skill training and deliberative practice led by local trainers. The program is designed to be free to grade schools, scouting organizations and faith-based institutions for the online component. The only costs to them are for local, qualified instructors who are engaged and paid directly by them. The online content can be taken anywhere and at any time through mobile technologies. Immersive Simulation: Simulation techniques using real-life scenarios improve reaction during high-stress crises. Scenarios include making 911 calls, communicating with first responders, key task assignments, performing CPR and using AEDs, practice caring for severe bleeding, using epinephrine auto-injectors and using opioid-reversal agents. Team of Teams and Network of Networks: Our model enables us to tap existing training networks of educators and membership organizations such as schools, scouts, clubs and faith-based platforms. We leverage a multigenerational team from local networks to meet the needs of the broad age range of our students. Our funding support to date has been solely by founder philanthropy with no direct or indirect financial support from healthcare device or pharmaceutical companies. We will be seeking funding from sources with a zero conflict of interest profile to allow us to scale globally without real or perceived conflict of interest. Members of our team have produced global documentaries for the Discovery Channel including Chasing Zero: Winning the War on Healthcare Harm and Surfing the Healthcare Tsunami: Bring Your Best Board. Our work calls on expert contributors to deliver a call to action that supports bystander care in the future film and media described below. 3 Minutes and Counting Documentary: This film uses real-life stories to motivate the public and leaders of institutions to start and support programs in their own communities. We are taking real facilities and creating simulation models to identify the best combination of trained bystanders and properly positioned supplies to enable delivery of lifesaving bystander care within three minutes of an event and until professional first responders arrive in 8-10 minutes. Video Stories: Our learning management approach uses the power of stories to communicate concepts, illustrate tools and describe resources. We are continuously capturing stories and adding them to our multimedia curriculum. Immersive Simulation Scenarios: The many stories used in our online training allow us to develop simulation scenarios, putting students in real-life situations that apply and reinforce key concepts. We use techniques pioneered in aviation and other industries to drive retention and competency impact. Although the Med Tac Team won the 2018 Pete Conrad Global Patient Safety Award for its work, we believe any community, inspired by the “all teach — all learn” mantra, can easily start a program like ours. We challenge others to start similar initiatives or join us in this cause. 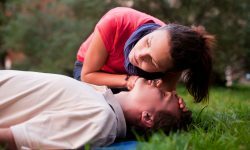 We believe the CPR/AED/First Aid programs of the American Heart Association are excellent. 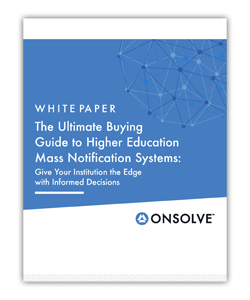 Instructors of those programs are ideally suited to engage with campus programs. Further, the Stop-the-Bleed program sponsored by the American College of Surgeons is also excellent when it is taught as designed. The combination of these two programs can dramatically improve the frequency and effectiveness of bystander responses to emergencies. 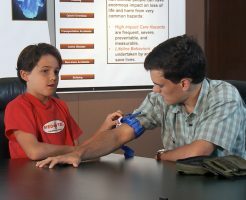 Recent studies have shown that bystander skills degrade over time, so try to assure “competency-currency.” Regular, repeated training, with deliberate practice of bystander care skills, complemented by readily accessible emergency care supplies, is the winning combination for a campus team to help serve those entrusted in their care. 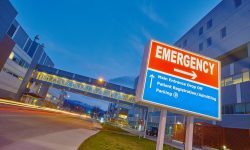 Remember, odds are that a medical emergency will happen on your campus and your students, clinicians, public safety officers, teachers, staff members and administrators will be the immediate responders until professional help can arrive. Med Tac can provide them with the skills they need to respond appropriately and save lives. Med Tac’s site doesn’t include any way for you to participate in this process and the email address just bounces back. It sounds like a great thing but there is no way to contact any of the people who run the program.